Fox News tops in total viewers, CNN takes the demo. In the three-way cable news ratings race between CNN, Fox News and MSNBC for last night’s first 2016 presidential debate, Fox News came out on top with 11.359 million viewers, CNN in second with 9.805 million and MSNBC in third with 4.895 million, according to Nielsen Fast National data. CNN beat Fox News in the A25-54 demo, 4.435 million to Fox News’ 3.525 million. MSNBC had 1.576 million. 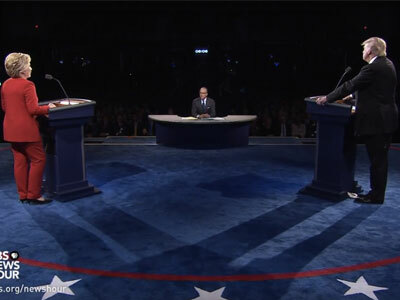 The numbers reflect an increase for all three networks over the first presidential debate in 2012, although none more drastically than CNN, which averaged 6.051 million total viewers in 2012. Fox New had 10.436 million and MSNBC 4.731 million then.